The British seaside can be a wonderful source of free food, if you know what you're looking for – which is where our Seashore Foraging course comes in. Led by resident foraging guru John Wright, author of the River Cottage Handbook Edible Seashore, the fun one-day masterclass will teach you to safely identify, gather and cook food from the beach and sea. 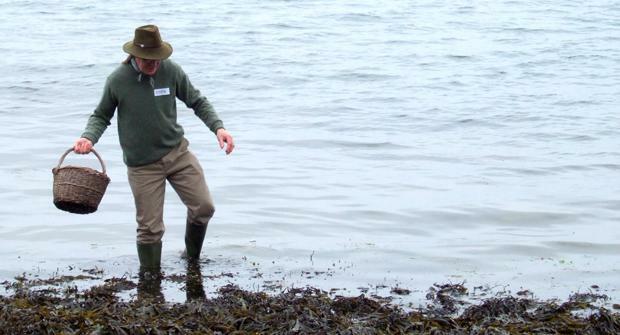 Depending on the season, you might find shellfish, crabs, edible seaweed and a variety of seashore plants. It’s the perfect chance to explore the beautiful Devon/Dorset coast, as well as the famous River Cottage farm. After dining on your seashore finds you’ll leave us feeling informed, inspired – and full! You will meet your host, John Wright, and start the day with a snack and one of our famous ‘forager’s nips’ before heading off to the foraging site. You will spend the morning exploring the local seashore and collecting anything wild that can be eaten. John will teach you how to safely identify, pick and prepare your harvest. We’ll keep your energy levels up with tasty snacks on location, before journeying back to River Cottage HQ. Back at River Cottage HQ, you’ll get the lowdown on the plants and creatures you have foraged. John will teach you simple ways of identifying plants, how to spot poisonous species, conservation issues and the laws of foraging too. 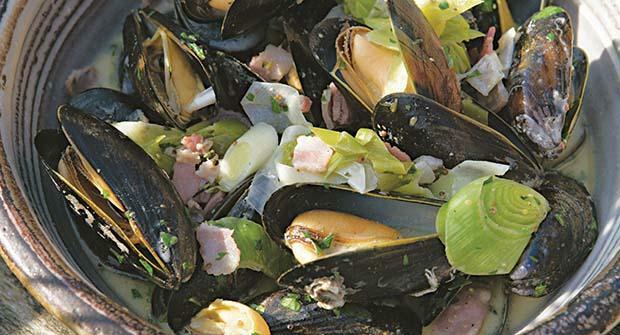 To whet your appetite before dinner, John will demonstrate some of the delicious dishes you can create with typical seashore-foraged ingredients. Your supper will include your foraged harvest, along with local and seasonal fare prepared by the River Cottage team. If you would like to go into the sea above welly-level, please feel free to bring a pair of hip waders or a wetsuit. However, these are not essential. Depending on the tide times, we may stay at River Cottage HQ in the morning and then go off-site later in the day, before returning for your foragers' supper.